Bubbly Tuesday......GIVEAWAY TIME!!!! | stesha rose. In honor of reaching 400 followers last week I promised you all a giveaway and today you have it!! I am so excited, you will be receiving not one but TWO giveaway prizes. I have Elyse from the Etsy shop Dainty Hippo who has the most fabulous fabric flowers and bags you have ever seen!! She is offering a $15 dollar credit towards her shop, AWESOME!!! Here is a little bit about Elyse and how she started her shop. "I graduated from college about 2 years ago from a school in New England and moved back to Oregon to help my family deal with some tough times. I've spent the majority of my time here doing full-time volunteer work. During my free time, I run the daintyhippo shop on Etsy--it's been a great creative outlet for me to bring to fruition all the things buzzing around in my head. I love to create beautiful additions to brighten peoples' lives. 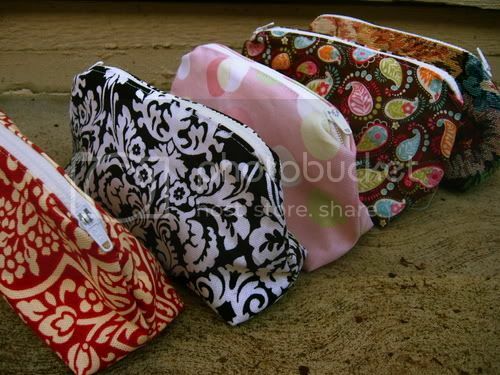 I began making simple bags using fun fabrics--makeup, toiletry, supply bags that so many of us need to organize all the little things in our lives...why shouldn't they have fun patterns and colors to reflect our personalities? I then added fabric flowers to my brand. I love finding bright colors and experimenting with new shapes and sizes. I wear flowers in my hair or on my clothes constantly, so it's an integral part of my style. About 9 months ago, I saw a big box of battered books that were destined to go to the local incinerator. The bindings and/or covers were ripped or broken, but the pages inside were still beautiful and I wanted to give them a new life. From that experience, the paper line at daintyhippo was born. The vintage paper flowers, wreaths, coasters etc. have definitely been the most popular items in my shop. I love how unusual they are and that I'm able to save the books from being thrown away. I've made a bunch of flowers for weddings and parties, as well as personal accessories and home decor. I've also started using maps to make the same items as well. Maps are great because I've been able to create customized orders from specific geographic locations. I find a lot of patterns in the real world I want to replicate somehow with unexpected objects. Or like typical home items made with unexpected parts. Example--right now I'm stuck on this idea of making a coat rack with round antique doorknobs as hangers instead of hooks. I love using bold and bright colors and patterns in my fabric items. I love giving new life to old items." 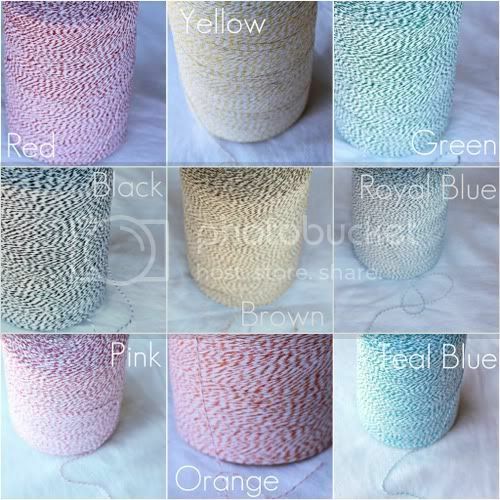 Katelyn from the fabulous blog Domestic Charm is giving away 50 yards of twine and 25 of her fabulous colored straws. Take a look, I am pretty much obsessed!!! MAKE SURE YOU LEAVE A SEPARATE COMMENT FOR EACH ENTRY!! I danity hippo and I love all her stuff. I would probably choose a bag. Since im in need of new makeup soon! I follow domestic charm! love her blog!!! I'm loving the rolled map flowers! I love everything from her shop, lol! I'm a follwer of your bloggity-blog! I like Classic & Bubbly on FB! i follow classic & bubbly and domestic & charm! i love the flat bottomed pouches! i liked domestic charm on fb! 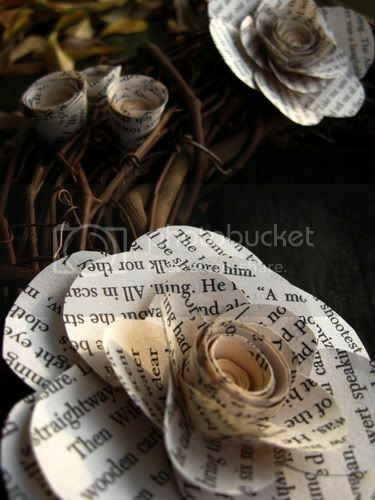 My fave from the etsy shop is the book flower wreath...it was super hard to choose....LOVE it all! Following Domestic Charm on GFC...what a fun blog! I am a follower of C & B! I "like" C & B on FB! You know I follow my sweet Stesha on Twitter! ;) About to Tweet about it! Great giveaway, my lovely!! I am a follower of DC! I am a follower of 'Classic & Bubbly'. I like the custom large rectangular boxy supply bag. I am a follower of 'Domestic Charm'. I liked 'Classic & Bubbly' on Facebook. I liked 'Dainty Hippo' on Facebook. I liked 'Domestic Charm' on Facebook. I love the ruffled flowers. So pretty! I follow Domestic Charm too! I Like Classic & Bubbly on Facebook! I love the book tiles. I desperately need coasters and these are so cute. I like dainty hippo on fb! I like domestic charm on fb! I LOVE dainty hippo's pom pom and map flowers! So unique! I 'Liked' DC on Facebook! HUGE obsession with twine & colored straws!! OOHH love!!! I follow domestic charm. 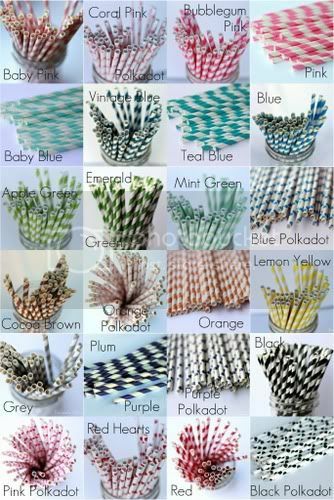 I love the straws; they'd be perfect for the Easter party on the beach I want to throw! I am following your blog! Have been a fan of domestic charm for awhile! My visit to dainty hippo was delightful. I like the medium map flower and the great wristlets! I follow domestic charm and like them on fb too! Absolutely love dainty hippo's vintage book rose and petaled vintage book rose! So pretty. 'Liked' dainty hippo on Facebook! 'Liked' domestic charm on Facebook! I am sooooo in love with those straws. neeeed those! i already follow you, following DC now and love the custom ceramic tiles at dainty hippo! I'm following your blog! Love it! Crossing my fingers for this entry! I'm also following Domestic Charm. I'm already pinning some of the recipes & DIY ideas on my pinterest! If I win, I'd love some Emerald Green Straws! love the dainty hippo -- would choose a cute bag!